Please remember tomorrow is the first of June. Get a good night sleep tonight because we do the “Total” tomorrow! Yeah, there were a couple of doubts that I couldn’t, but I don’t really look at those. I just look at what I can do and what I will do! 100 jumping lunges for time. Fear can hold you back from trying wonderful things. max number of burpees in 5 minutes. it’s only 5 minutes so push HARD!!! Leave nothing in the tank!!! post total number to comments. I’ll see everyone else tonight. The rugged mountain terrain of Afghanistan continues to be the center stage where the global war on terror is being fought. There the Taliban forces and other terrorist organizations have dug deep into difficult terrain and are lying low as they plan and train. US and allied forces have committed a large contingency of Special Operations (SO) units to locate them. With the help of Long Range Guided Missiles and Close Air Support (CAS), SO units are destroying enemy strongholds. Approximately 24 hours ago, a US Special Operations unit identified a system of caves and some well hidden structures during a 5-day Surveillance and Reconnaissance operation. Before they could call in any long range missiles, the SO unit was compromised and immediately began taking fire from the direction of the caves and began their retreat, calling for CAS and helo extract along the way. Fortunately the team was able to be safely extracted after the Air Force provided a deadly strafing assault on the enemy compound. Unfortunately, an Air Force A-10 was hit by a surface to air missile and crashed into an extremely rugged area. The pilot did eject, however, and has made comms. He stated that he is only minimally injured and is well hidden, but has seen distant patrols that seem to be looking for him. The A-10 Squadron has continued to fly in the area and has engaged targets wherever possible to keep enemy search parties to a minimum. Assemble a light and fast combat technical rescue team to bring the pilot home safely. Rescue team will coordinate with rescue with Helicopter and an A-10 Flight (4 to 10 aircraft), who will provide fire support prior to insert to keep enemy movement outside of the caves to a minimum. Once a position for the pilot can be reasonably pinpointed, the rescue team will insert, advance quickly, and will vary their route based on enemy contact or signs of enemy presence. Locate Pilot: Once the down pilot has been located, the rescue team will establish tactical positions to provide security and medical aid. The time window for preparing to move is no longer than 5 minutes. Rescue team will call when they are ready to move to get location for pick up. Location will depend on enemy movement viewed from the air. The closest location is 400 meters downhill, the farthest is 5 kilometers through rough terrain. 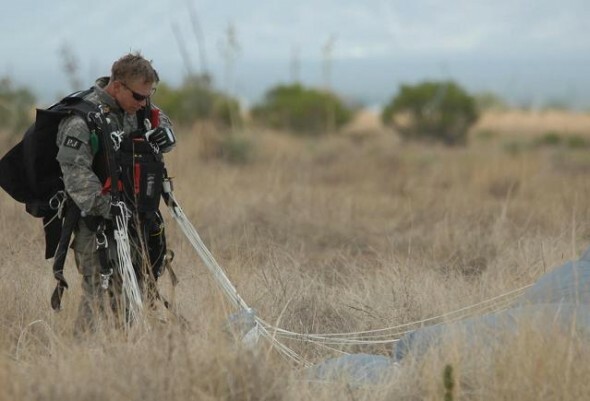 Team can expect that some assistance will be required to move the pilot. Helo will rendezvous with the team when they get to the extract point. The Rescue Team will insert after the A-10 strafing runs. The effectiveness of this will depend on speed and accuracy in moving to the down pilot, stabilizing him, and moving to the extract point. He has honor if he holds himself to an ideal of conduct though it is inconvenient, unprofitable or dangerous to do so.